“Madar Al-Huruf” means “wheel of letters” in Arabic. 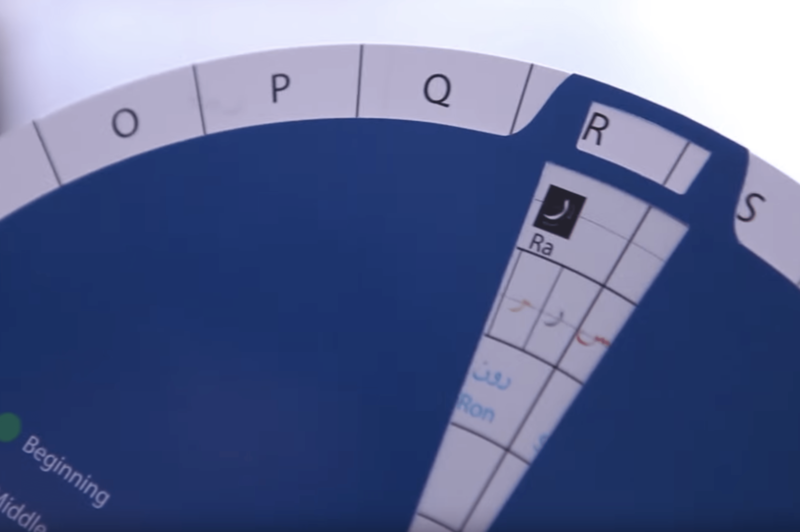 The wheel is a valuable, open, and free language tool that introduces users to the Arabic alphabet. Anyone who is unfamiliar with the Arabic alphabet can write his/her name by matching English letters and sounds to their Arabic phonetic counterparts. The wheel has been used to connect students all over the world with the Arabic language and demystify the intimidating characters to ease Arabic learning and communication. 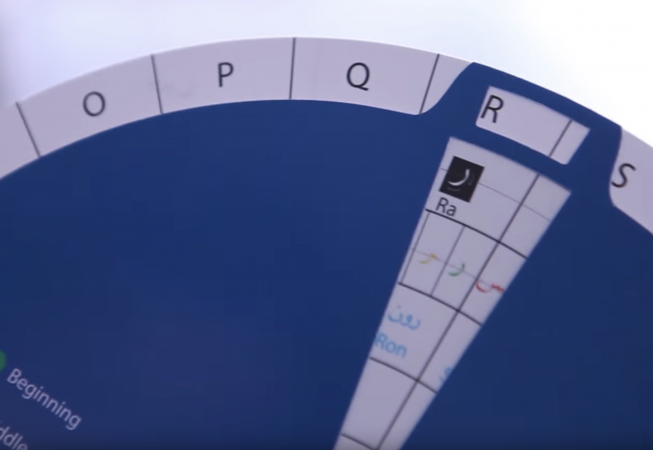 QFI has used the physical iteration of the wheel as an effective outreach and teaching tool, distributing over 13,000 copies to teachers, students, and others interested in teaching or learning Arabic. Madar Al-Huruf was created and designed by VCU Qatar graduate, Muneera Al-Badi, for QFI’s Arabic language and Culture program. Al-Badi also developed a user guide and worked closely with US-based teachers of Arabic in Washington, DC, and Tucson, AZ to finalise the wheel’s design.